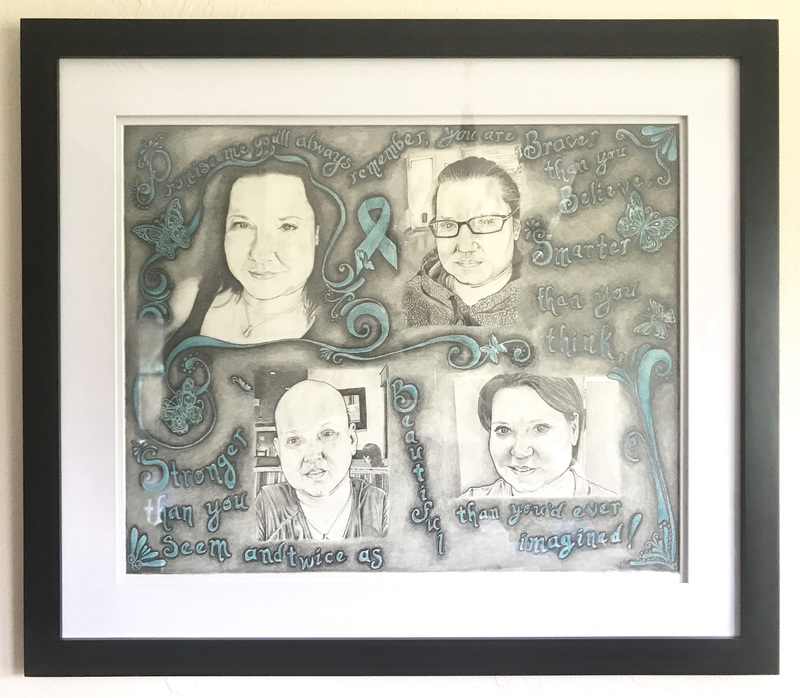 This artwork represents images from before diagnosis, after my first surgery, during treatment, and during recovery. It was a gift from my neighbor, Sara Beth Kritikos, to record my amazing journey. The reminder to continue to push no matter what the day gives you. I am so lucky to be here today, and this is such a great reminder, that things might be tough but you can get through anything by staying positive.